Breaking—explosive—unaired footage of the ABC News interview with Del Bigtree, the producer of Vaxxed — the film that was supposed to be shown at the Tribeca Festival but was canceled. We’re talking about nothing less than the vaccine connection to autism. 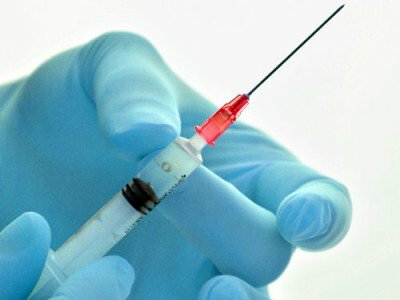 ‘Gardasil Coverup Documents Exposed’ by Kelly Brogan, M.D. Sin Hang Lee has graduated from Wuhan Medical College in China. After a Residency-Fellowship at Cornell-New York Hospital and Memorial Hospital for Cancer, he was certified by the American Board of Pathology and obtained the FRCP (C) degree by examination in 1966. He was on the Faculty of McGill University and Yale University from 1968-2004 while practicing hospital-based pathology. He is currently the Director of Milford Molecular Diagnostics, Milford, Connecticut. In the past 10 years, he has developed Sanger sequencing-based testing methods for HPV, Neisseria gonorrhoeae, Chlamydia trachomatis, Lyme disease borreliae and Ebola virus implementable in community hospitals. “… Dr. Lee has checked references, and what he discovered could only be made right through “an immediate independent investigation and appropriate disciplinary action”. * Declarations of harmlessness – science by proclamation – are made in the absence of available science to support these claims. * Concerns about contamination of HPV DNA fragments were dismissed without a shred of evidence: references were falsely attributed to conceal a total vacuum of peer-reviewed science on the safety of HPV L1 gene DNA fragments. These fragments were conflated with HPV-16 particles in hopes that this wave of the hand would quiet further inquiry. * Concerns about the antigenicity of aluminum is dismissed in direct conflict to available evidence of inflammatory response generated by vaccination as demonstrated by the WHO’s own data. * Tactics used to generate an illusion of scientific certainty including: CDC Technical Reports by ghostwriter(s) based on phone conversations, references to unpublished PhD material, and health blogs. * Dr. Lee offers a summary analysis of 22 key peer-reviewed references to summarize the available information on aluminum adjuvant as a biotoxicant. Take Action to Stop the Release of Genetically Modified Mosquitoes in Florida Keys! [Comment: Please consider sending comments. What’s really amazing is that, as investigative reporter Jon Rappoport https://jonrappoport.wordpress.com/category/zika/ and others have shown, scientists have NOT clearly linked the Zika virus to microcephaly (small head disease). Of the originally reported 4000 cases of small head disease in Brazil, it turned out only to be about 400. And of those 400 – only around 17 have the virus. But – this country, on no evidence, devotes a billion plus dollars to research a vaccine and Florida declares a health emergency! We are in the twilight zone. Once the GM mosquitoes get loose, there’s no telling what will happen. 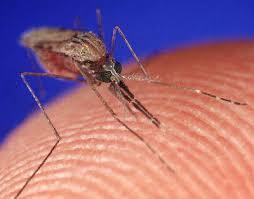 And please don’t forget that such GM mosquitoes WERE released in Brazil about 18 months ago. Federal officials approved the release of genetically modified mosquitoes on Friday for field trials in the Florida Keys. The decision comes as the number of Zika cases transmitted by the mosquitoes rises. The release of genetically modified mosquitoes in the Florida Keys cleared a significant hurdle Friday when the U.S. Food and Drug Administration announced they pose no significant environmental danger. The preliminary findings, to be published in the Federal Register, will be open for public comment for the next 30 days. But the initial federal review likely clears the way for a long-delayed field trial by British producer Oxitec in the tiny affluent neighborhood of Key Haven a mile east of Key West. Pressure has mounted to speed up testing after the arrival of the Zika virus, which is carried by the Aedes aegypti mosquito, in the U.S. and Florida. While no cases have been contracted locally, health officials fear South Florida could face an outbreak. Oxitec’s genetically modified mosquitoes have already been released in South America, where health officials say an ongoing Zika outbreak could infect 4 million people by the end of the year. The virus is tied to a host of health problems, possibly including a spike in babies born with microcephaly in Brazil. Oxitec CEO Hadyn Parry welcomed the move. Since the company has already outfitted a lab in Marathon for production, the company could move quickly to start tests if local officials back them, he said in an email. But some residents in the Keys, backed by opponents of the genetic modification industry, have fought bitterly to stop the release, mounting a petition that collected 160,000 signatures. “People just don’t want to be guinea pigs,” said former nurse and real estate agent Mila De Mier, who started the petition. Pitched as a safer, more affordable way of battling Oxitec’s modified male mosquitoes are engineered to produce offspring with a kill-switch, or defective gene that kills them. The offspring also bear a florescent marker gene so larvae can be identified when inspectors conduct mosquito counts and gauge the progress of the program. De Mier, however, say no tests have linked the release of mosquitoes to a reduction in disease and argues that other methods used by the Florida Keys Mosquito Control District to combat Aedes aegypti have been successful. She also likens the tests to clinical trials and believes Oxitec ethically needs to obtain permission from residents. “You cannot even justify a trial,” she said. If after the public comment period the FDA approves the test, the district’s board must still approve an agreement with Oxitec, said district spokeswoman Beth Ranson. The issue is not on the board’s Tuesday meeting agenda, although she said it’s likely to come up for discussion, but not a vote. “So there’s still a couple of steps left,” she said. The district plans on posting the link for comments on its web site. Comments can be submitted online to the FDA or mailed to The Division of Dockets Management, HFA-305, Food and Drug Administration, 5630 Fishers Lane, Room 1061, Rockville, MD 20852. The federal Food and Drug Administration is accepting public comments on the draft environmental assessment for releasing genetically modified mosquitoes in the Florida Keys. The public has 30 days to comment from the date of publication in the Federal Register. To submit comments electronically to the docket, go to www.regulations.gov and type FDA-2014-N-2235 in the search box. While comments are welcome at any time, you should submit them by the closing date to ensure FDA considers them. To submit your comments by mail, use the following address. Be sure to include docket number FDA-2014-N-2235 on each page of your written comments. 19,351 had an ER visit within 42 days of immunization. Adverse events following HPV vaccination, Alberta 2006-2014.